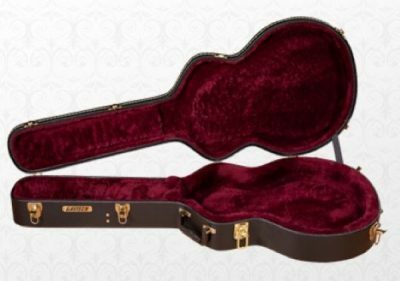 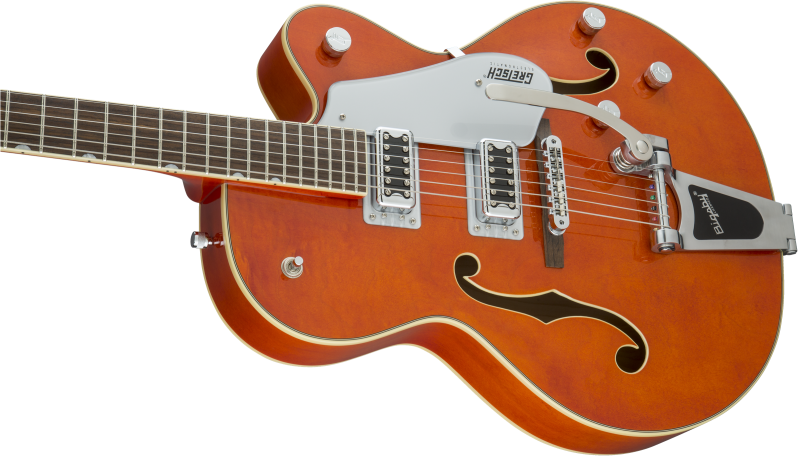 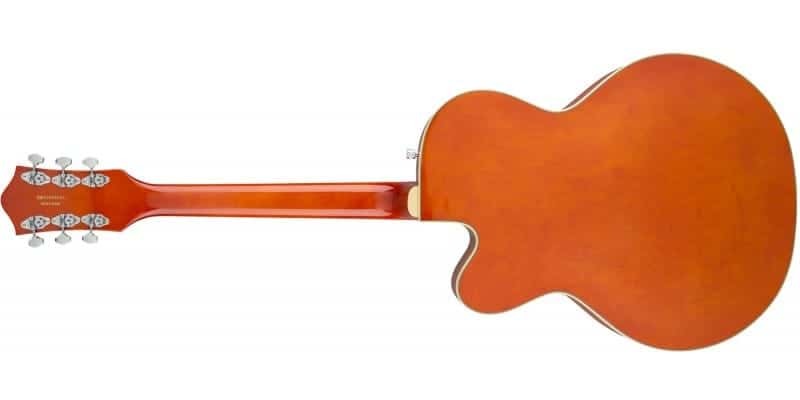 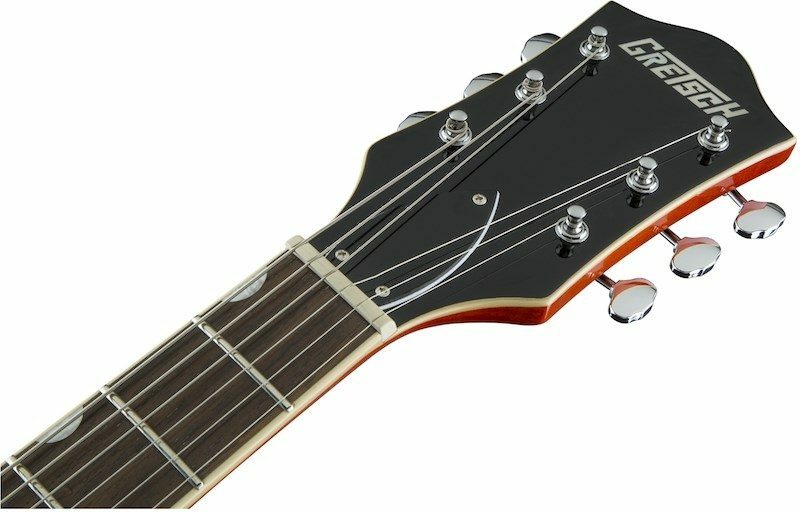 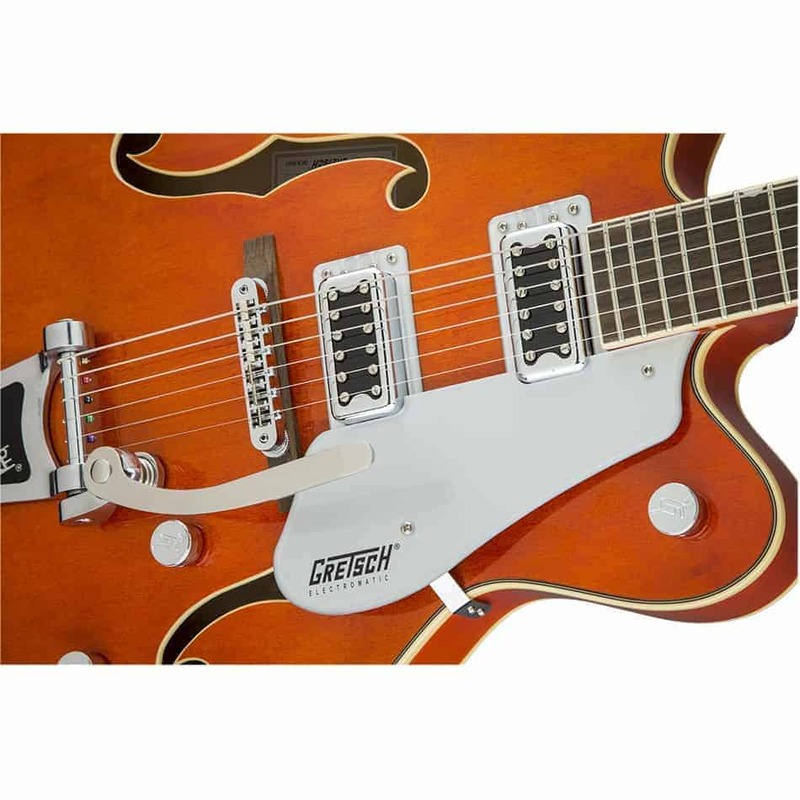 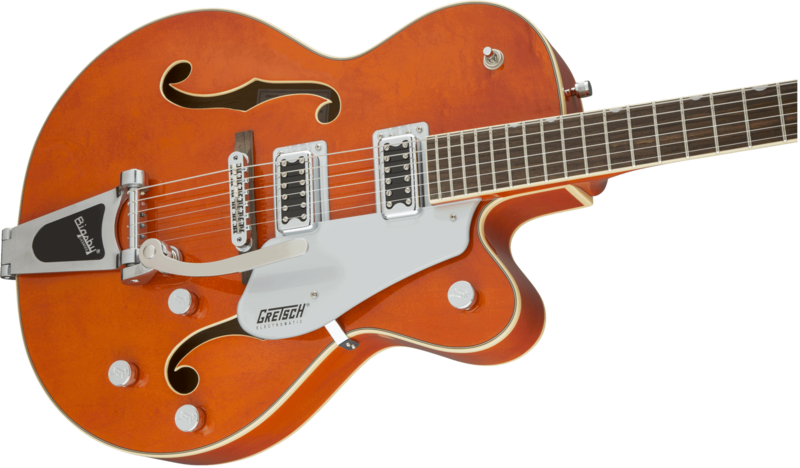 The G5420T Electromatic® Hollow Body is a sharp new Gretsch guitar with a bound single-cutaway hollow body featuring sound-post bracing and elegant bound f holes. 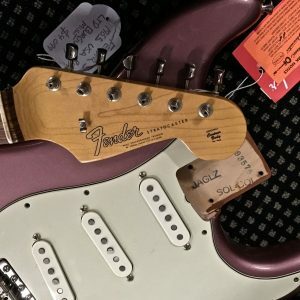 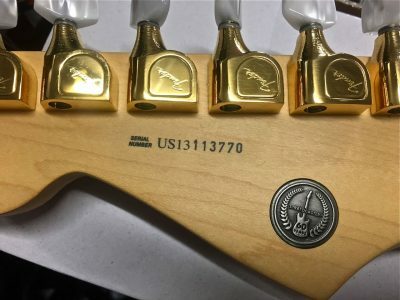 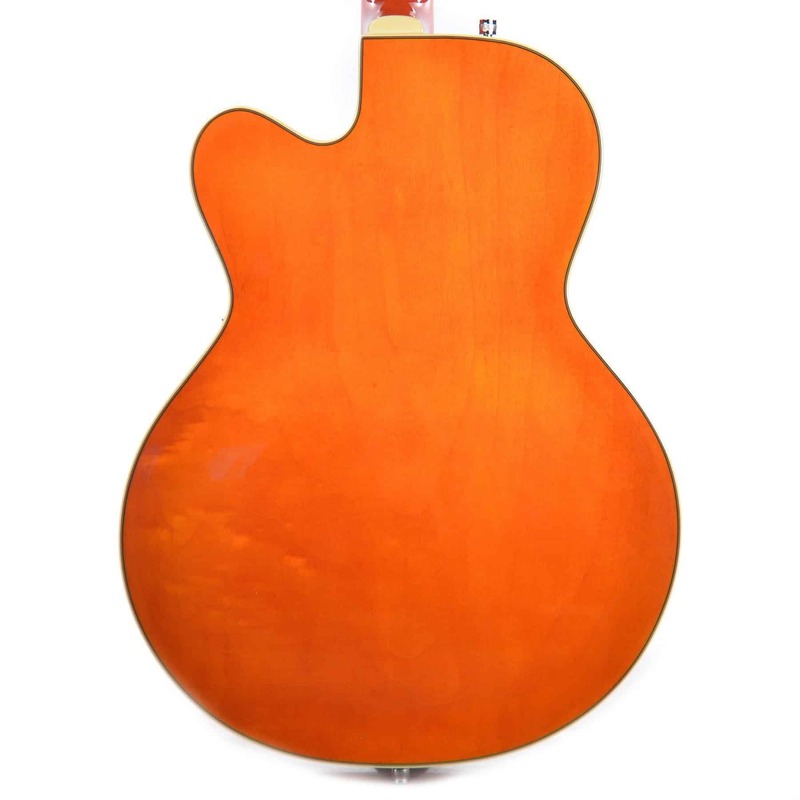 Other features include a maple neck, bound rosewood fingerboard with 22 medium jumbo frets and hump-block pearloid inlays, silver plexi pickguard, three-position pickup switch, classic “G” arrow control knobs, rosewood-based Adjusto-Matic™ bridge and Bigsby®-licensed B60 vibrato tailpiece, vintage-style open-back tuners and chrome-plated hardware. 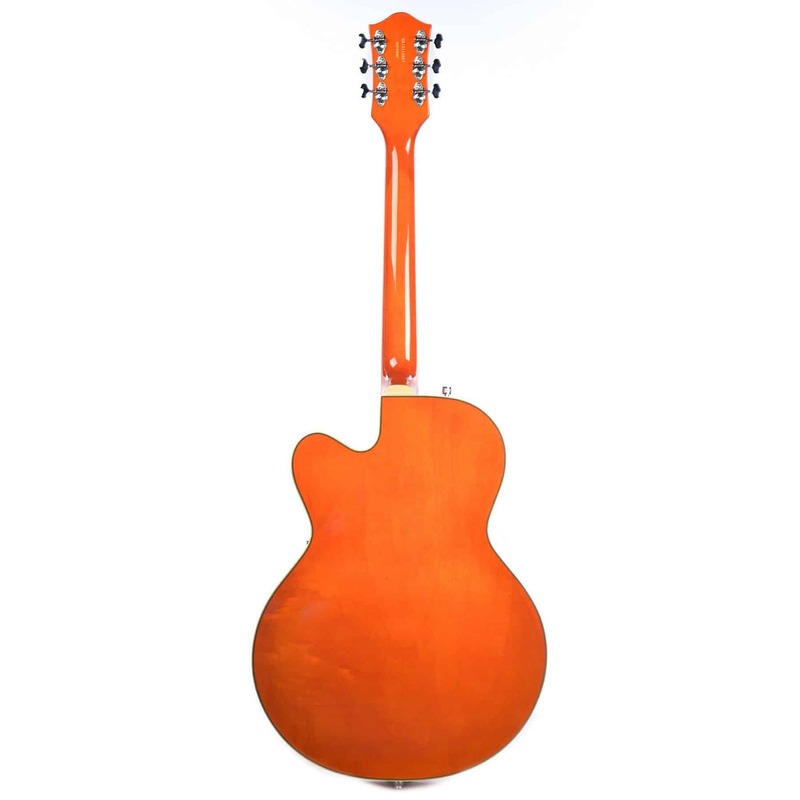 Available in Black, Orange, Sunburst and Aspen Green.